In addition to its stunning natural beauty, unbelievable skiing, snowboarding, hiking, biking and the plethora of music and film festivals, Telluride has one of the most unique public transportation systems in the world. The Telluride/Mountain Village Gondola is a one-of-a-kind transportation system, connecting Telluride with Mountain Village. Since its opening in 1996, the Gondola was the first and only free public transportation system of its kind in the whole United States. This cutting edge transport is available all year round and serves both as a lift for skiers and snowboarders as well as public transportation for locals and visitors to Telluride. The beautiful 13-minute ride between the Town and the Village provides passengers with breathtaking 365 degree views of the San Juan Mountains. Jumping on the Gondola in the morning to get to work, as many locals do, is frequently referred to as, “the best commute in the country." Handicap accessible cabins are available and pet lovers can take their leashed pets on specially designated pet cars. The Gondola cars are equipped with ski and snowboard racks in winter and bike racks in summer, making this the ideal way to enjoy all of the wonderful outdoor recreation that Telluride has to offer. Gondola attendants are standing by to help you load strollers, wheel-chairs, etc. Blankets are also provided during the winter at each station for passenger comfort. Did we mention that all of this is FREE?! The Gondola runs in the summer between May and October and in the winter from November to April. The service is available daily from 7am to midnight and takes approximately 13 minutes to go from town to the Village. In addition to the Gondola, Telluride also offers a more traditional bus service, called the Galloping Goose. This bus service is also entirely FREE and transports riders in and around Telluride. Check the designated Goose pickup locations for times. Like the Gondola, the Galloping Goose has a unique history. The bus services’ predecessor was originally part of the Rio Grande Southern Railroad that served remote silver mining communities in Southwest Colorado. After the crash of the mining industry the railroad had to come up with other sources of income. The Galloping Goose, a gasoline engine “railbus” was set loose in 1931, the original car was structured from the body of a Buick. The Goose carried freight, mail and passengers until the 1950’s. Eventually, with the construction of the US highway system, the Goose was no longer needed. Telluride’s public transportation system paid homage to this historical railbus but naming its bus service after the Galloping Goose railcars. Several of the original Geese cars on display at railroad museums throughout Colorado. The original Galloping Goose has also left behind a wonderful biking trail that follows the original narrow-gauge rails. Following a 17-mile path from Telluride to the top of Lizard Pass, mountain bikers are in for a real treat as the trial offers some of the most incredible mountain scenery to be experienced in Colorado. The Telluride Express offers service from all area airports into town, so you really can leave the car at home. We are happy to book a Telluride Express shuttle for you. 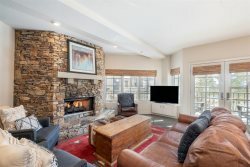 With our one of a kind public transportation, once you get to Telluride, you will have no problem getting around to enjoy the very best our town and recreational areas have to offer.